Camilla on the Fly: Learning Polish! In the very beginning when I came to Poland my language learning started well. Before the University started I was in a Polish class for foreigners for 2 weeks (organized by the University for exchange students and foreign full time students). After this I knew some basics and it felt that my learning has started even when the pronunciation is beyond difficult. Pronunciation is hard and specially when my first teacher was concentrated to the correct pronunciation. After the 2 weeks course real University started and I started to attend obligatory Polish classes once every week. In the beginning we went through the same things than during the 2 weeks course. This obligatory one-year Polish course was maybe too easy. We moved forward too slow. The reason might be that all other students were not so active. Sometimes I was alone with the teacher and when the others came we needed to repeat everything. The most I have learned through my friends. I’m listening when they are talking, talking in phone and then I'm just reading the situation. I’m able to understand surprisingly… a lot but when it comes to speaking I can only put words after words so that they are not in the correct form (as the grammar is so different from English or Finnish). The most important thing for language is communication, I’m not worried if people can understand what do I mean. 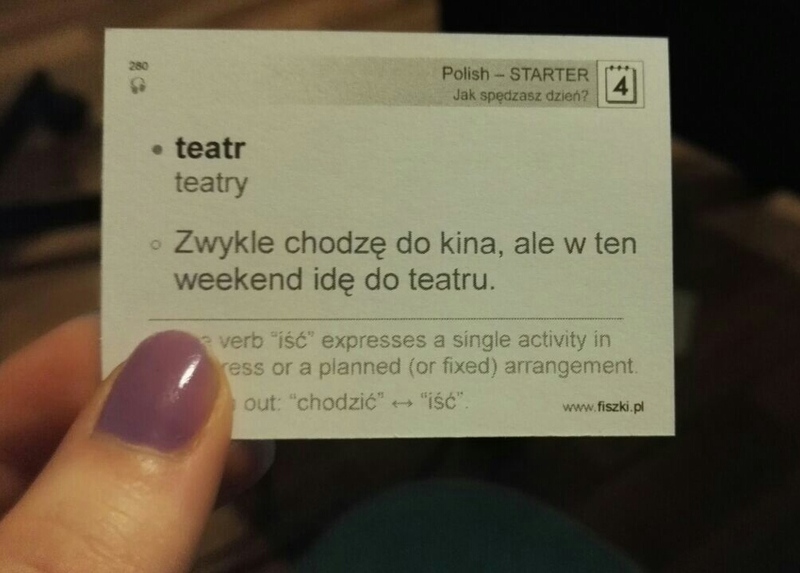 I should get more motivation to learn new Polish words to be able to understand even more and to use the words by myself. My motivation has been lost after the year obligatory Polish course. 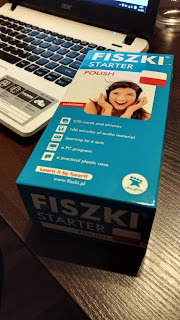 I needed to start learning German for my studies but I would have loved to continue Polish. It is weird that I only had 2 semesters of Polish but now I need to learn 3 semesters of German. I will try to learn German and Polish at the same time, learning the words I need for German classes but also learn the same things for myself from Polish. All the languages are mixed in my head, I wouldn’t be able to answer for simple question in Swedish :D Even when my level in Swedish is better than in Polish or German.